And now you can have one! 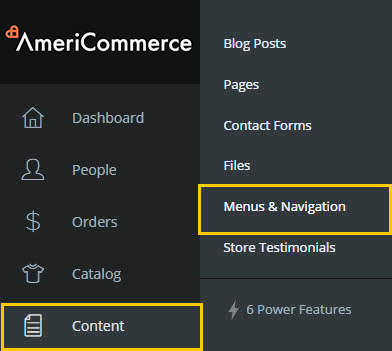 current customers through the built-in AmeriCommerce online stores blogging platform! more details on so we can improve this article to best serve everyone... thanks and Enjoy! Here's how to setup your blog and create your first post. You can create any number of separate blogs and each blog is associated with a specific store. 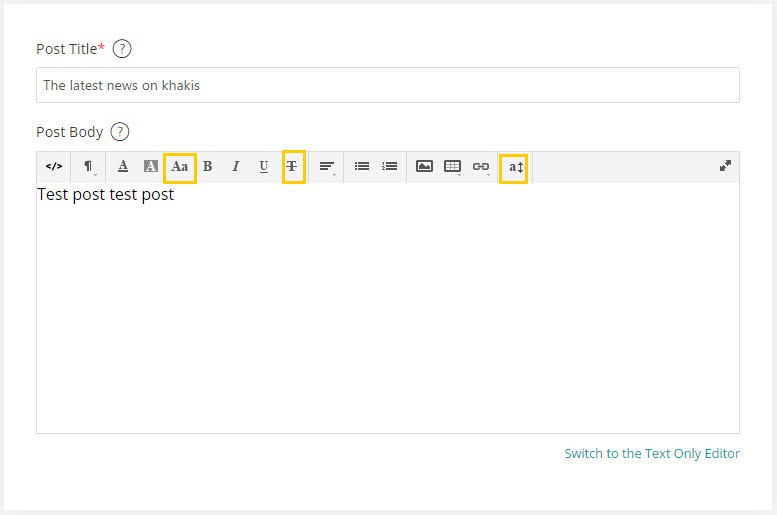 You can also add Blog Comment Moderation, Blogs, or Blog Posts to your new power features! 2) Click on the "new" button in the upper right. 3) Here are the setting when creating/Editing a blog. We support both Atom and RSS formats for the syndication feed, and each blog can be configured either one of these (or both, or neither). 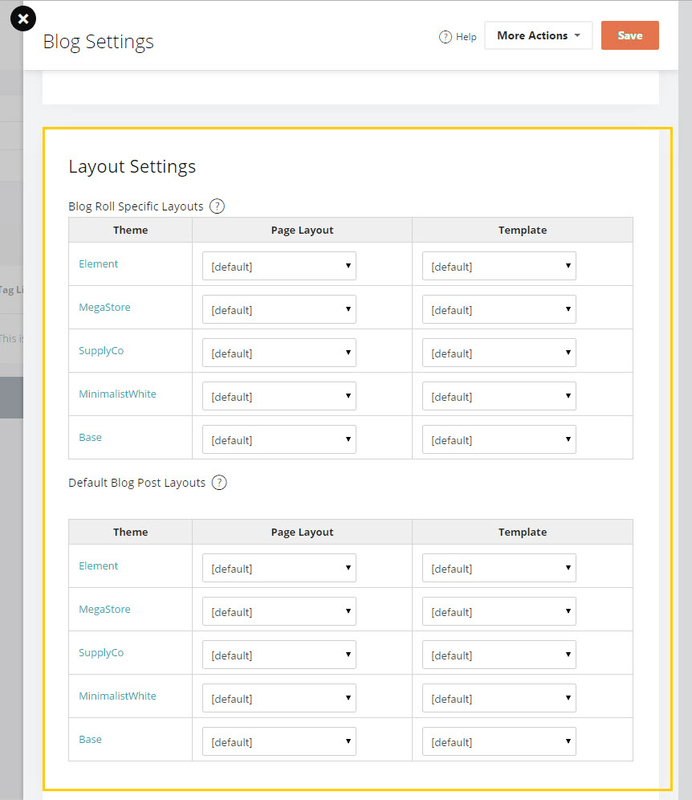 You can also specify a default layout and/or template for all posts within this blog. This can be overridden on each individual post. These allow you to choose specific layouts and or templates for each theme so that one blog can appear distinct from other blogs in your store. Congrats! 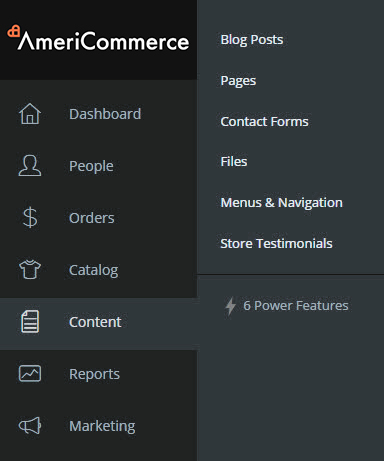 You've now setup your first AmeriCommerce online store blog! for this example, let's setup a few categories first. Blog categories and tags are specific to each individual blog, meaning you must configure which categories and tags are available on each blog. To do this, you'll go to Content > Blogs and click on the "view categories & tags"
From here you can configure your blog category structure for organizing your posts. Categories have a tree structure such that, in the example above, any post placed in the Baseball category is also treated as if it is in the Sports category. Tags have no structure and simply allow you to mark specific posts with certain tags for better navigation and organization. 1) To Get to the blog posts page you can either click on the blog name from Content > Blog or by clicking on the magnifying glass icon from that same page. 2) To create your first post, click the "new" button to the right. Note that if a tag does not already exist, it will be created when entered on the blog post. To publish your post, click on save in the upper right hand corner. You can view your pubished post now by clicking on the view icon to the right of the preview button. When moderation is on, posts by front-end customers are entered with a pending status. The status can then be changed to approved or rejected. Comments by admin users will not require moderation, even if moderation is enabled. 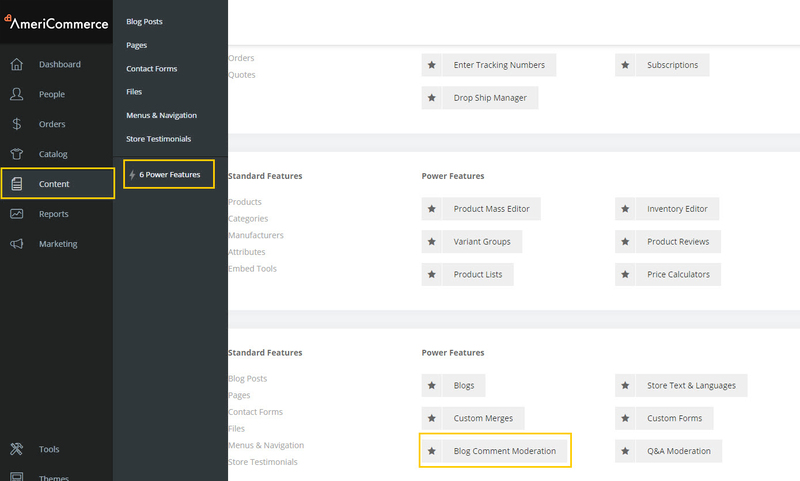 There are also 2 store level settings that affect blog commenting. Comment interval is the number of minutes a commenter must wait between posting new comments. In this example, it is .5, so 30 seconds. Comment Max Length is the maximum number of characters that can be entered in a comment. Comments longer than this will be trimmed. 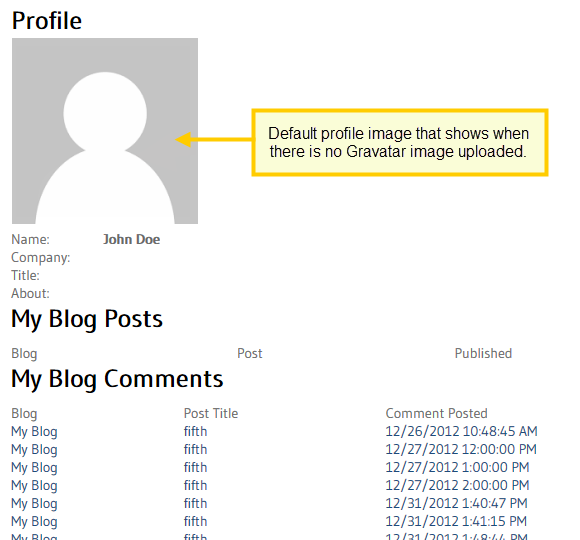 All blog posts are posted with a given profile, either a store profile or an admin user profile. Additionally, all comments are posted using either a customer profile or one of the other two aforementioned profile types. You can edit your personal information that you wish to display as well as a profile image you can upload. 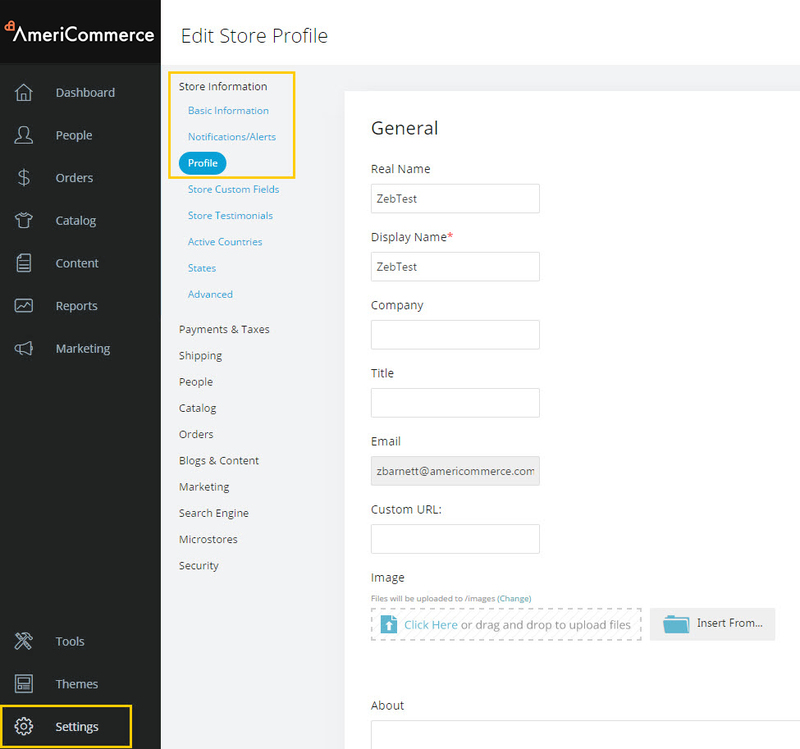 Customer profiles can only be edited by the customer themselves on the front end. Blog post: contains the content for an individual blog post. 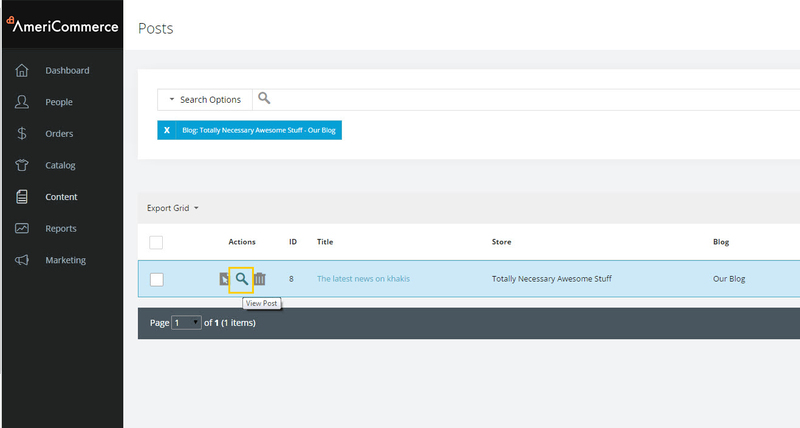 Additionally, there are several new widgets that are specific to blog features. You can add these to your theme or products, categories and content pages. The Blog Roll widget has the same features as the blog roll page, except that it does not allow paging of posts and allows you to filter it to display specific posts from a given blog. This gives a great deal of power in how blog rolls are displayed and designed, because it means that you can embed an almost completely full featured blog roll page anywhere in your theme (including on the blog roll page itself, if you want certain posts to be displayed in a different manner on the blog roll). The Blog Tag Cloud widget is a widget that displays available tags for the blog based on context. Tags that are used more frequently are more prominently displayed. 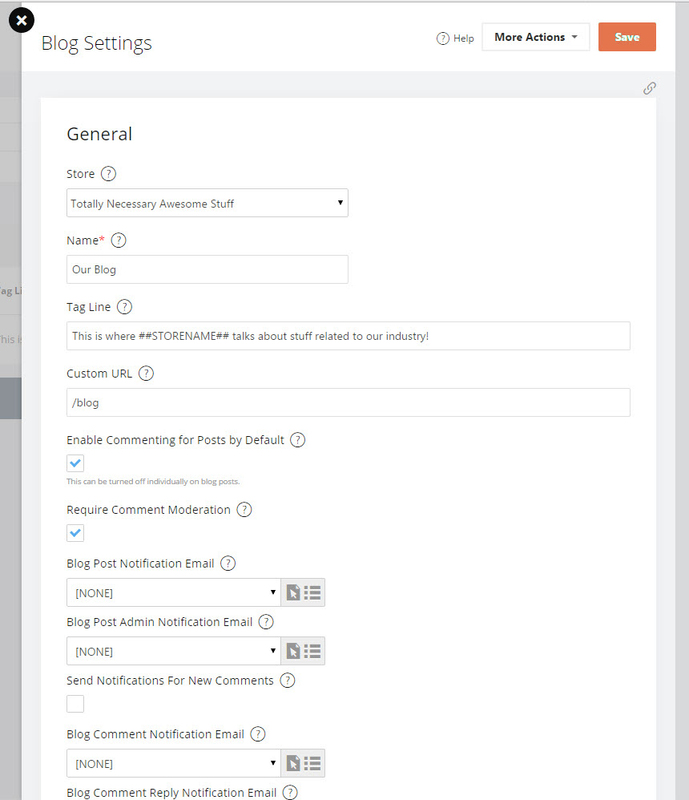 Tags can be clicked to view the blog roll filtered to only posts with the specific tag applied. You can add your blog to your navigation menu list by going to Content > Menus & Navigation. Edit an existing active list. For our test blog we are going to call it "News". This is how we add it to our top navigation. "News" now appears at the top of the list. You can move this to wherever you would like it to be placed on the navigation. We chose to add it to the bottom. Let's take a look at how it looks on the main front end of the store. 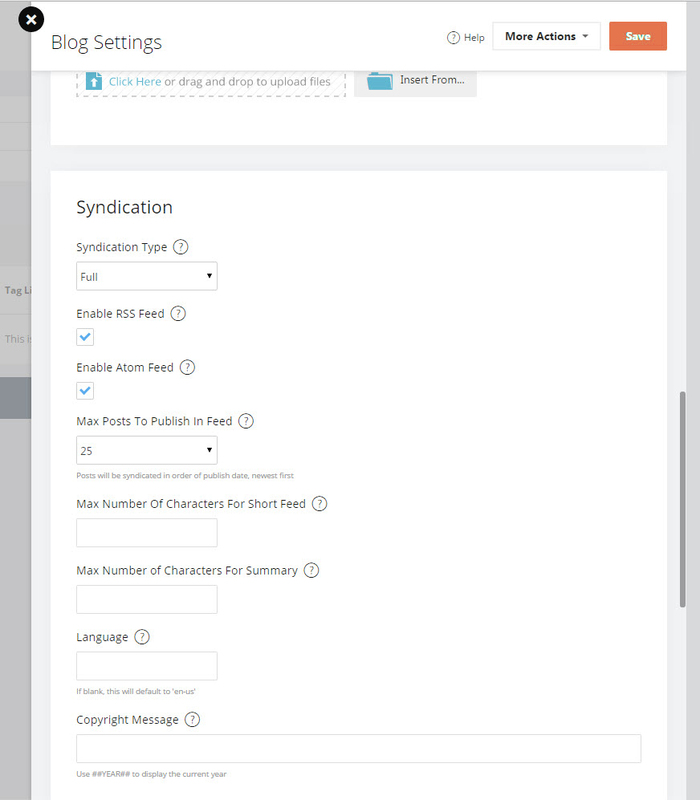 Numerous store text options have been added related to blogs. You can edit this in the WYSIWYG editor, or by switching to HTML. Is there any possibility or capability for anonymous comments on blog posts? Right now the posting is contingent on being logged in. Future development includes other login methods and may account for anonymous posting. I have customized one of the themes and renamed it. How do I update it so that I can incorporate the blogging feature? We have our blogs set up at Blogger, but maybe it would be better to set them up with our Americommerce site. Is there a way to link them up in a way that we don't lose our old content? I see from another page on your help that it's possible to set up a subdomain, but I'm not sure exactly what that would be. Any guidance you can give would be appreciated. With AmeriCommerce Blogs, you wont need to use a subdomain. As for the old content on Blogger, you can redirect the traffic to the new blogs. 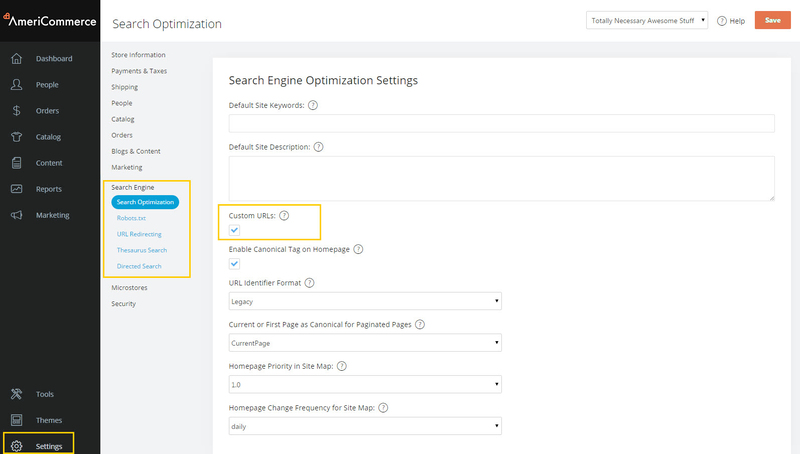 You may also look in the blogger dashboard under Settings >Search Preferences > Errors and Redirects for custom redirect settings. If you can custom redirect the current blog post to its corresponding blog post on AmeriCommerce blogs you could have them completely moved. Otherwise, it will just come down to the choice of whether you want to keep using blogger or not for your blogs. 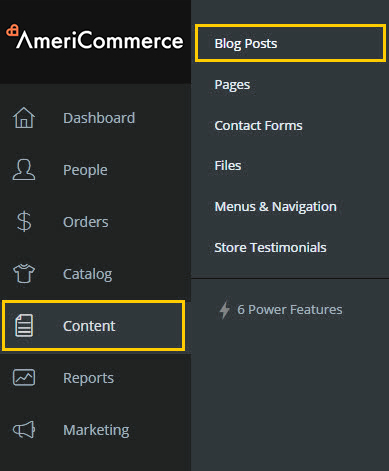 You can still use your AmeriCommerce embed codes to place product buy now buttons on your blogger posts too. Thanks Justin. From an SEO standpoint, do you think it matters? I would think a Blogger entry would count as an external link, which is good. A blog on the site would count toward the content of the site, which is also good. Is one better? Good suggestion on the buy now buttons. It does matter from an SEO perspective. Strategically, if you keep the old content there and start generating only new content on your AmeriCommerce blog then having inbound links from blogger will be good for your new SEO on your AmeriCommerce site and blogs because it sees the inbound links. However, you dont want to have the exact same blog posts in both places. That would not be good. You have some duplicate content issues in that case - which is bad form for SEO. Ultimately, you want to capture as much content on your own domain as possible to improve your seo, inbound links to the domain, and authority on topic. 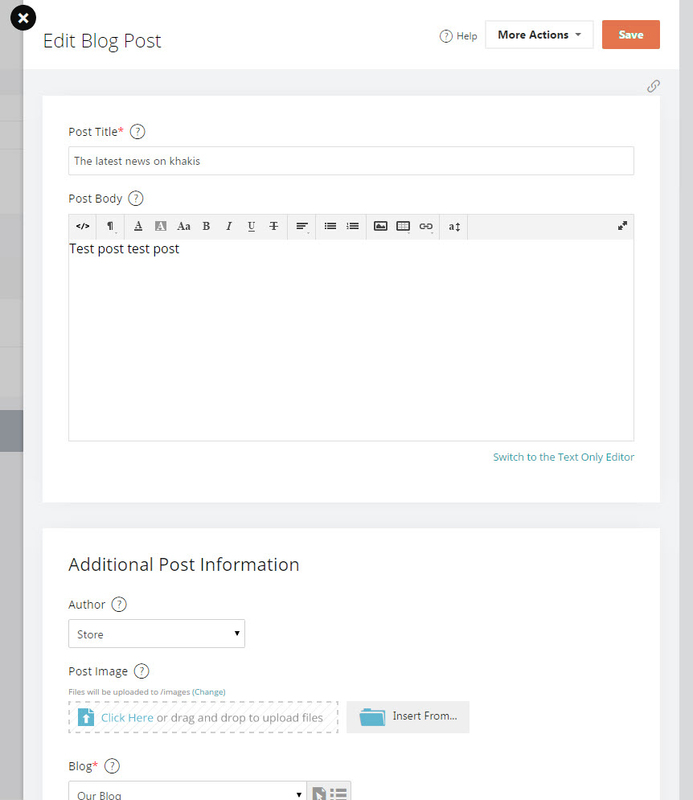 Yes, you can migrate all the old content off your old blog onto a new blog. It's duplicate content until you put a canonical reference and a 301 redirect on it. An then at that point it's going to be updated by search engines. SEO best practices is to use redirects to point the old blog content to the new blog content. That's what I was suggesting earlier. But the pieces of this puzzle are in the following links. I recognize this may not be easy to understand if this is not in your comfort zone, but it should get you jump started in the right direction for all this stuff on blogger and using redirects for your blogger content to point to a new AmeriCommerce blog. It's best done like phase 3 on this post http://www.seomoz.org/blog/web-site-migration-guide-tips-for-seos and from what I can tell blogger platform may not make it very easy to do. Now then, thats the nerd details on redirects and your blogger situation. Does the Americommerce blog have that option? I'm leaning toward just doing both blogs without duplicating content. We'd have to come up with some way of judging which content goes where. Yes, you can put all your content in AmeriCommerce. At this point it is not an automated import though. And, yes, keeping your blogger set up and running two blogs simultaneously works. Just need to know which blog is for what purpose. I offer just one word of caution: Any content you produce on blogger is content that is not strengthening your own domain (store website) and adds one more step to convert that traffic into customers. So keep that in mind. Sorry for all the info. Hope something here helps! We went ahead and set up our blog on our own domain and it seems to be going well. For now, we'll just leave the Blogger page alone. One little thing. When we set a category for a post it's not remembering what's been picked. We have the list of categories, and you can point and highlight the one you want, but when it saves it does not remember. Maybe I'm missing something. Safari 5.0.6 on Mac if that matters. Chris - Try taking a screen shot of what you are seeing / experiencing and open a support ticket so we can investigate your situation. https://secure.gravatar.com/avatar/xxxx?s=53&d=https%3a%2f%2f##SSLDOMAINNAME##%2fstore%2fi%2fuser_icon.png - would be better for admin pages. Any new developments as far as being able to import existing blog content from another blog platform into Americommerce? Having the ability to import via spreadsheet would be so welcome!